You save £12.50 that's 63% off! 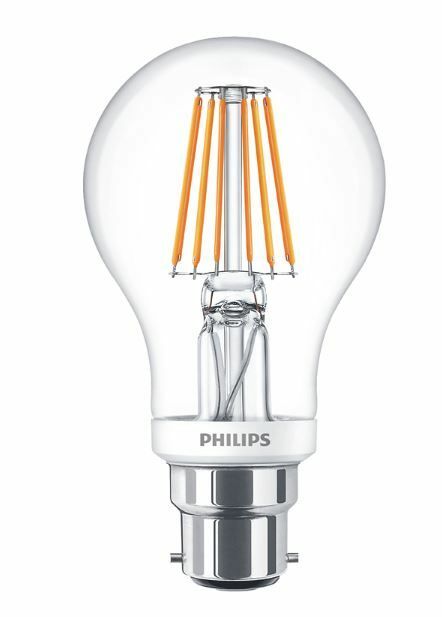 Will you be able to tell the difference between this bulb and a traditional incandescent? This product produces 806 lumens which is equivalent to 60W incandescent bulb but only operates at 7.5 Watts. Further savings can be saved when dimmed as less energy is consumed meaning energy savings of around 90% can be made compared with a traditional light bulbs. LED lamps classic portfolio looks like incandescent saves likeLED Philips LED classic recreates incandescent lighting in every way possible. 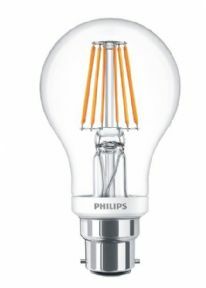 The classic bulb shapes are designed for timeless, decorative appeal. But it’s what’s inside that makes them so different. We’ve given our LED energy-saving technology a new twist by arranging the LED to mimic incandescent, so you can create a glowing, warm white light without high energy bills.